Protect vulnerable plow and wing areas with a wide variety of VBL™ Curb Runners and Plow Guards. Valley blades offers curb runners in several sizes* of two basic designs with hole patterns to accommodate any OEM hole spacing. “Wrap Around” curb runners curve around the plow offering protection from any angle. “Standard” curb runners have a large cylinder of wear material on the end for long wear life. Both styles can be equipped with multiple layers of hardfacing built up to form a wear pad on the bottom edge and the area in contact with the curb. These pads greatly increase the wear life when compaired to conventional curb runners. 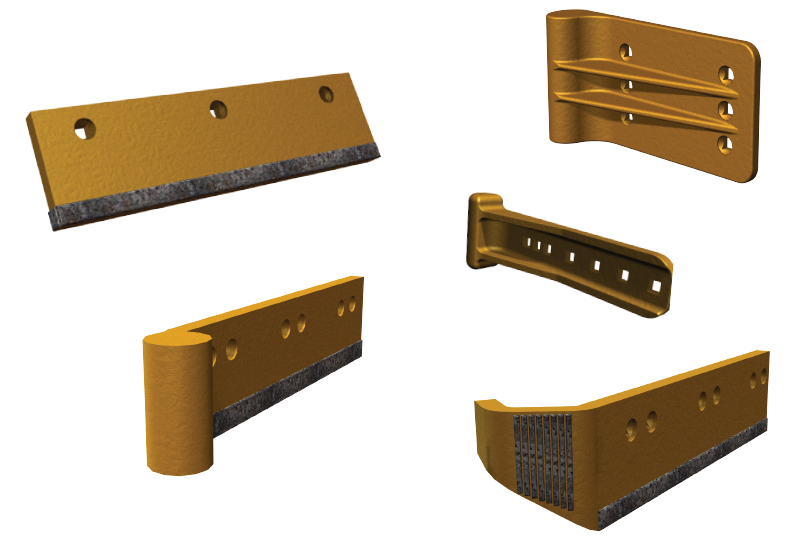 Plow guards offer the same great hardfacing pad on the bottom edge without the wrap around or cylinder added. These can be used anywhere along the blade where premature wear is encountered.